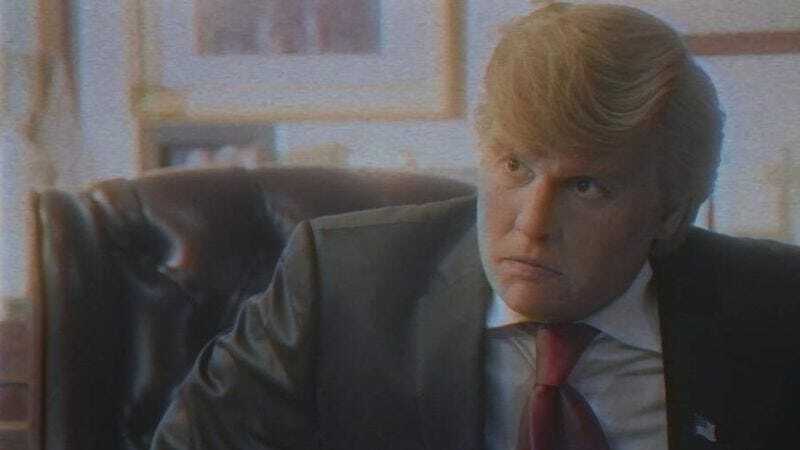 It’s not hard to draw a line between Donald Trump’s 1987 business manual Trump: The Art Of The Deal—spectacularly spoofed earlier this year by Johnny Depp and Ron Howard for Funny Or Die— and his current status as the Republican nominee for president. The bestselling book re-positioned Trump—previously little more than a bad-haired buffoon with some sketchy business practices and a pirate-like taste for gold—as a sort of ’80s folk hero, a self-made winner who battled it out at the business table not for the money, but for the pure and simple love of the deal. Survivor creator Mark Burnett was so taken by this version of Trump that he built an entire TV show around him, giving the mogul a national platform (and a potential recruiting base for political talent, as it ultimately turned out). Of course, Trump didn’t write The Art Of The Deal on his own (or at all, depending on who you ask). Journalist Tony Schwartz—who’d caught the real estate tycoon’s attention by writing an article criticizing him, because Donald Trump doesn’t care what people say about him, as long as they’re saying things about him—was personally tapped by Trump to take his life’s story and collected wisdom and turn them into a book. In a way, Schwartz—a dedicated liberal and self-described “seeker”—might end up being partially responsible for a Trump presidency, a thought that causes him to express no small measure of horror in a recent interview in The New Yorker. You can read the entire interview, including the techniques Schwartz said he used to spin Trump’s numerous business failures into seeming successes, or hide the ways his father’s connections smoothed his path to success, over at The New Yorker.